Port Richmond, NY (March 18, 2019) – In a wildly intense series of events, a sports car was witnessed to have gone airborne into a bush located at the intersection of Post Avenue and Decker Avenue. The accident was recorded on camera around 3:40 a.m. during the early morning of Sunday, March 17th. According to authorities, 27-year-old Omar Juarez-Rivera was intoxicated when he crashed the vehicle he was driving and then left the scene. Juarez-Rivera, a city firefighter, was reported to have been fled the scene and has since been charged with operating a vehicle while intoxicated and fleeing the scene of a crash that resulted in injuries. Emergency medical crews were called to the scene, where they transported at least one person to Richmond University Medical Center in West Brighton, although at least three people were reported to have suffered injuries. Further information is pending. Our most genuinely heartfelt sympathies are wholeheartedly extended to the victims, first and foremost, as we maintain our hopes for their full recoveries. Car accidents in New York are often injurious or fatal, as they typically occur when we least suspect it. Moving forward, it is absolutely imperative for the victim to understand that they may likely have very significant rights to follow. 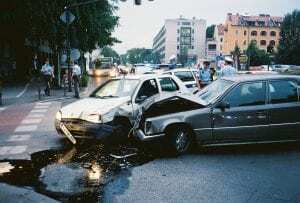 Our New York accident attorneys at Hach & Rose have dedicated their lives to help those who have suffered due to the actions of reckless and blatantly criminal drivers. We realize that there is nearly nothing as difficult as dealing with the aftermath of a sudden injury, and we are here for you 24/7 to answer any questions you may have at this time. If you have been hurt in a car accident due to another party, please don’t hesitate to call 212-779-0057 today.